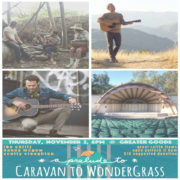 we are honored to be partnering with Ojai Valley Land Conservancy, 805 Living, Caravan Outpost & Elephant Revival for this amazing concert! The record is done and we’re having a party! 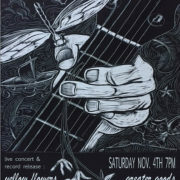 Join us for an evening of beautiful songs that began seven years ago when Jan’s son, Fran, read these poems to her in the order they now appear on ‘Yellow Flowers’. 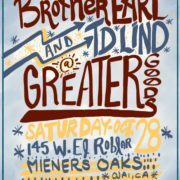 this free, all ages event will start with some of ojai’s finest local music by way of Sleeping Chief (Todd Hannigan & friends). 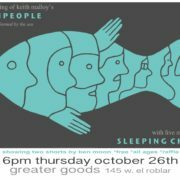 we will then get into a couple shorts by Ben Moon, & close with the screening of keith malloy’s new documentary, Fish People. keith, ben, & todd will all be on hand for a Q&A afterwards. patagonia has been kind enough to donate some raffle items, so bring a few extra bucks to try your luck! 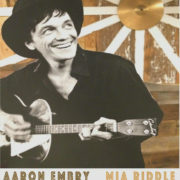 ring in the return of ojai’s musical sunbeam, aaron embry, as well as song gliders mia riddle & justin andrew johnson! folk art your heart out! all ages. 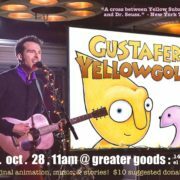 fresh from his appearance at wilco’s revered solid sound festival, grammy nominated songwriter & illustrator morgan taylor brings his original animation & live music together in the form of Gustafer Yellowgold this saturday morning at greater goods! taylor’s humerous & touching multimedia presentation about a little guy from the sun who landed in the minnesota woods is truly an all-ages experience. 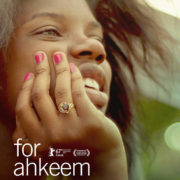 a community screening of the powerful new documentary, “For Ahkeem,” an intimate coming-of-age story that illuminates some of the challenges that many black teenagers face in america today, and bears witness to the strength, resilience, & determination it takes to survive. 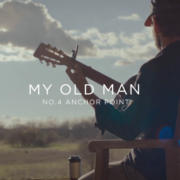 Part of Thursday’s double screening of two of chris malloy’s recent documentary shorts: the fisherman’s son & anchor point. 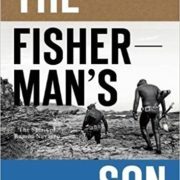 both films offer a personal glimpse into the lives of two humble heroes, ramon navarro & j.t. van zandt. Q & A with chris malloy &/or brother dan after the film. 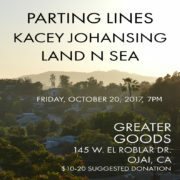 an evening of artful, california soaked folk music with Parting Lines (trevor beld jimenez of tall tales & the silver lining & legendary local band franklin for short), Kacey Johansing, & land ‘n sea (landon smith).